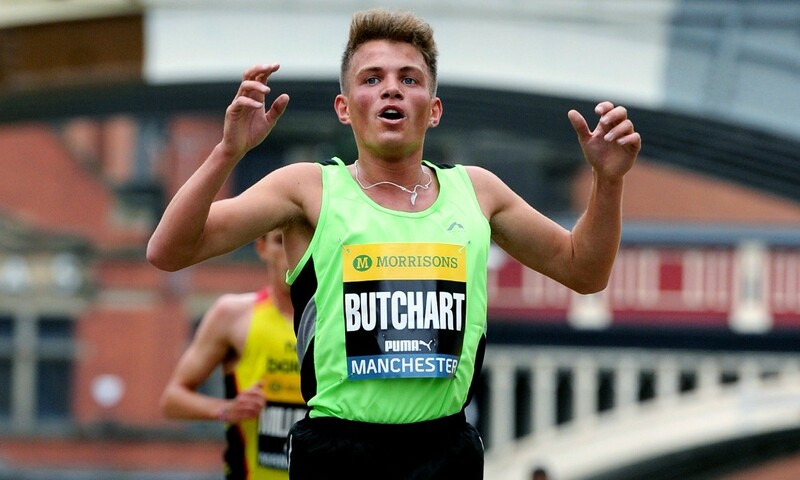 Andrew Butchart broke the long-standing Scottish 5000m record on Sunday (May 22), clocking 13:13.30 at the AA Drink FBK Games in Hengelo despite running with only one shoe for the latter stages of the race. In a contest won by Ethiopia’s Olympic silver medallist Dejen Gebremeskel in 13:00.99, Butchart took more than four seconds off a record which had been set by Nat Muir in 1980 to place ninth after losing a shoe with a lap to go. It is the 24-year-old’s second Rio Olympics qualifying time and puts him 10th on the UK all-time list. In that same race, Butchart’s fellow Briton Andrew Baddeley ran 14:05.81 to finish 17th. Two days after winning the Great CityGames 100m in Manchester with a sub-11 second time of 10.94 (+2.7), world champion Dafne Schippers returned to the track to take on double the distance and ran a world-leading 22.02 to win by more than a second. Behind her, Britain’s Jodie Williams clocked 23.06 and Desiree Henry ran 23.31 for sixth. A number of other British athletes were also among those in action at the event in Netherlands. Asha Philip won the 100m A final in 11.27, while Daryll Neita was third in 11.43 and Bianca Williams fourth in 11.45. Another British winner was Anyika Onuora, who exactly matched the Rio qualifying standard of 52.20 in the 400m. Lawrence Clarke ran 13.50 for second in the 110m hurdles as William Sharman was seventh in 13.71. Continuing her comeback after injury struggles and surgery, former steeplechaser Eilish McColgan achieved her second Rio 5000m qualifier with 15:16.51 for sixth in a race won by Ethiopia’s world junior cross-country champion Letesenbet Gidey in a 14:58.44 PB, which had been the second quickest time so far this season until the Rabat Diamond League 5000m took place later on in the evening. There, Almaz Ayana ran the fifth-fastest ever 5000m with 14:16.31 and led athletes to clock seven of the eight quickest times so far this summer. In her first 1500m of the season, Alison Leonard ran a PB of 4:09.59 for fourth, as Hannah England clocked 4:09.98 for sixth, one place ahead of Steph Twell with 4:10.90. Kenya’s Willy Kiplimo Tarbei won the 800m in 1:45.87 ahead of Guy Learmonth who was sixth in 1:47.23.